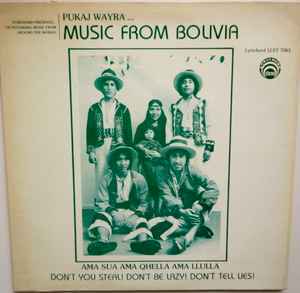 Pukaj Wayra ‎– Music From Bolivia - Don't You Steal! Don't Be Lazy! Don't Tell Lies! "Ama sua ama qhella ama llulla". Performed by Pukaj Wayra Ensemble with flute, guitar, drums, charango.